Being the wife of a self-proclaimed math nerd, it's important to us that our kids have a strong foundation in math. 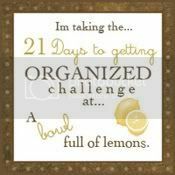 Trying to make it fun can sometimes be a challenge though. Last summer we worked on addition and subtraction facts with Pinky. We also reinforced skip counting, telling time to the hour and half hour, and counting money. While we did use flashcards - we made it a routine to spend 10 minutes with a set of flashcards each day - we also spent a lot of time playing games. 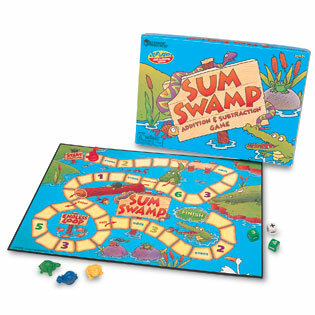 The hands down math game winner in our house is Sum Swamp Addition and Subtraction Game . I found this at a garage sale for only $1 (and it had all the pieces - bonus! ), but you can buy it from Amazon or Learning Resources. The premise of the game is simple. You choose a game piece and try to be the first person around the board. You roll 3 dice - 2 number dice and one operations (addition or subtraction). You arrange the dice into a math equation (always putting the larger number first) and solve. The answer to the problem is how many spaces you can move. There are, of course, some tricks along the way. You can land in a spot marked "even" or "odd" and you must remain there until you roll the appropriate number. The favorite part of the game for my kids is "the endless loop" which ensures that you will get lots of practice. The game itself doesn't take long, but my kids beg me to play over and over. It was $1 well spent. Another fun math game is Eeboo Time Telling Game . The game can be adjusted based on skill level. You can choose to tell time by the hour, half hour, quarter hour or down to the minute. Each player chooses a clock with moveable hands. A card is flipped over to show a digital time. Players must then set their clocks to that time. 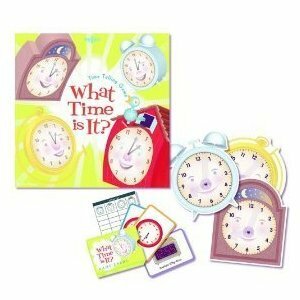 We very often change up the rules to this game or just use the clocks to practice without playing the game. Pinky loves to use the clocks to play school with Chaos. Of course, having fun with math doesn't have to mean spending money on a store bought game. A great way to practice coin counting skills is to count real coins or even to set up a store and play with a toy cash register. We've also had a lot of fun with Add it Math by the very talented Erica at Confessions of a Homeschooler. Life of Fred: Apples has also made a few appearances this summer as well. Both Pinky and Chaos enjoy reading about Fred and his doll Kingie. If you've never heard of Fred, you can read a sample here. For my techie loving kids, we also watch a few LeapFrog movies (these are really more appropriate for Wild One and Chaos, but Pinky still enjoys them) - Numbers Ahoy, Number Land, Math Adventure to the Moon, and others are often available on Netflix instant streaming.